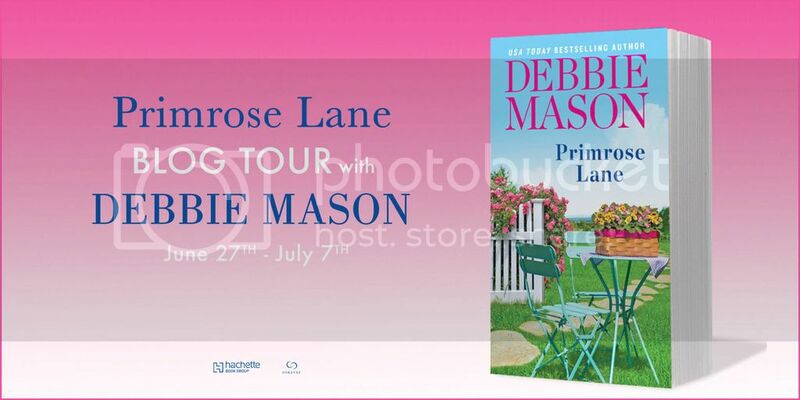 Primrose Lane by Debbie Mason is the third installment to the Harmony Harbor featuring the Gallagher brothers. This time it is Finn Gallagher, the brooding doctor recovering from his recent injuries in the Congo at the heart of Kitty and Colleen’s matchmaking. I have to say that I enjoyed this book! I planned to read just a few chapters and wound up reading the entire book in one sitting. This seems to happen to me every time I pick up one of Debbie Mason‘s books. The characters are well written, likable and relatable. Plus the dialogue and sweet romance is an easy read. Olivia Davenport (known also as the mysterious Dana) is the other half of the matchmaking pair for this story. I personally had been curious about Dana since the first story. No one really knew her, only that she seemed to be hiding from something. What she is hiding from though is truly heartbreaking. Olivia is one of Boston’s elite socialites and mega-rich. But money can’t buy everything, a lesson she learned the hard way two years prior when her son died of cancer. Unfortunately that isn’t the only piece of heartbreak Olivia has faced, and now she chooses to self-medicate to numb her feelings and curb her anxiety. There’s only one problem with that: the handsome doctor sees right through her. At first, I wasn’t sure how I felt about Finn. He came off as the other Gallagher men had: judgmental and ready to leave. Yet the injuries he sustained in the rebel attack has forced him to extend his stay in Harmony Harbor, something he is just a little (really a lot) bitter about. He’s intrigued and a little worried about the mysterious woman his family has brought in. To him, Dana is just another addict looking for a quick fix, but her kind heart and doe eyes draw him. He finds himself wanting to help her and when he uncovers her secret, he knows there’s more to the story. 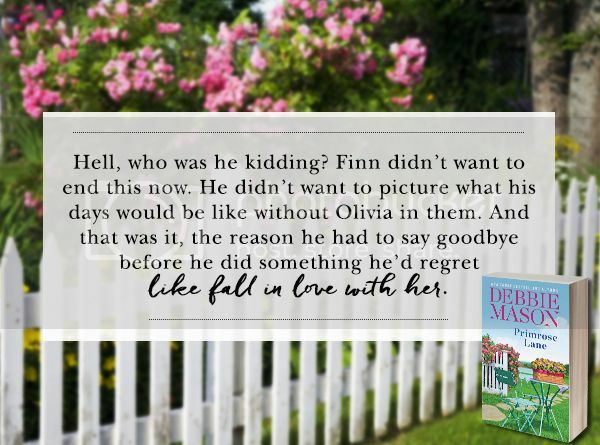 A true doctor at heart, wanting to fix another patient, Finn winds up in over his head. 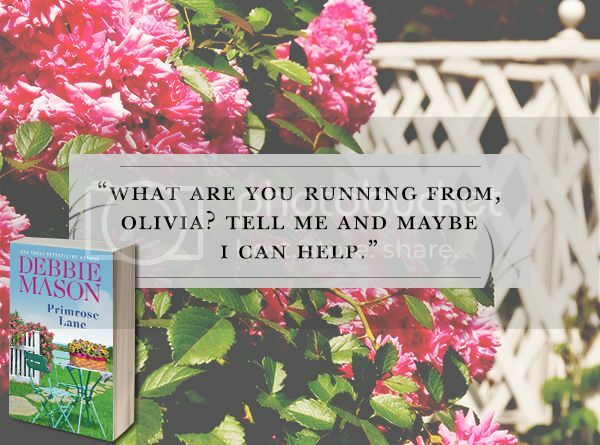 Character driven with an easy flowing pace, Primrose Lane reads like a real-life romance. Two people who get off on the wrong foot, antagonize each other to no end, and eventually realize they can’t live without the other. Is it predictable? Absolutely! BUT the story is so sweet and the characters pull you in to their story that I personally didn’t care. I enjoyed every word and as I already stated lost sleep to finish it in one sitting. If you enjoy contemporary romance, I highly recommend you pick up a copy. 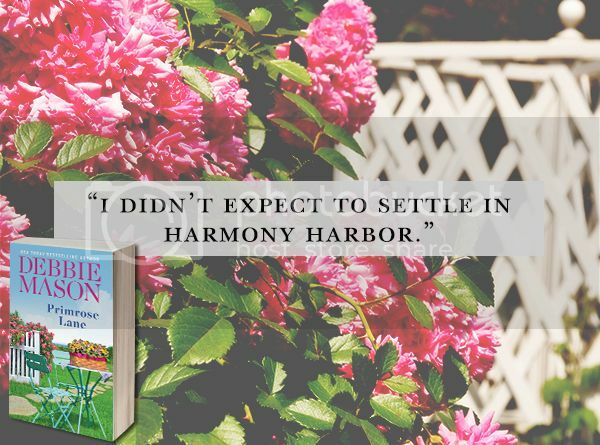 Side Note: This book (as all the others in Harmony Harbor) can be read as a standalone. However I recommend reading the series in order to avoid any spoilers with the other characters that crop up in this book. To read an excerpt of Primrose Lane, click here.